Carton Warehouse offers solutions for all your commercial packing needs, recognising the need of the wholesaler or distributor to transport product quickly and safely, while always keeping economy in mind. With over 100 different cartons in all shapes and sizes, you’ll always be able to pack it with Carton Warehouse. If you are after something unique, we also design custom solutions. 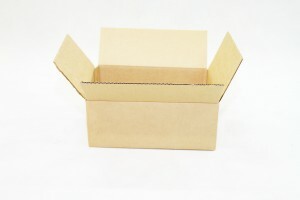 New or once-used cartons are available for immediate delivery in quantities ranging from 1 to 20,000. Arriving flat-packed, all our cartons are easily assembled. 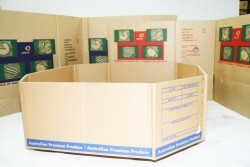 Any other packaging materials you may require is also available through Carton Warehouse. Call us today on (07) 3277 9999 to find out more about how we can help you save money, time and the environment! Looking for new cartons or a customised solution? Give us a call to see how we can help. 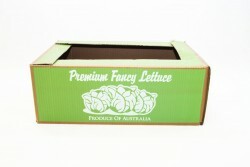 Need new or once-used produce bins? We have many sizes, and styles to choose from. Corflute and polystyrene trays, boxes and many more, for all your catering needs. Whether you need new, once-used cartons, polystyrene or waxed boxes, we can help!